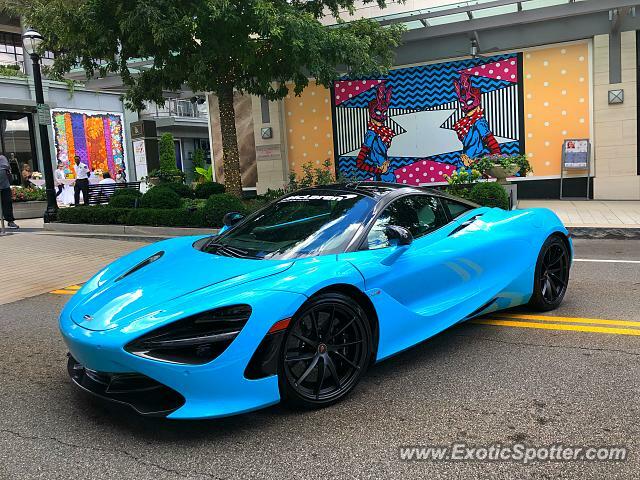 Crazy spec 720s at the Buckhead shops. I was going to get a mom milkshake from Shake Shack and saw a flash color that could only be from an exotic. That is my Favorite car and by FAR me favorite color selection! I'm gonna start parking like this it looks fun. @Mazdafreak lol I thought there was going to be a car show because I saw an Aventador S parked similarly. But they just set up a bunch of catering tables and what looked like a runway. Not sure how a 720s fits in with that. "Lemme just park diagonally in the middle of the street"